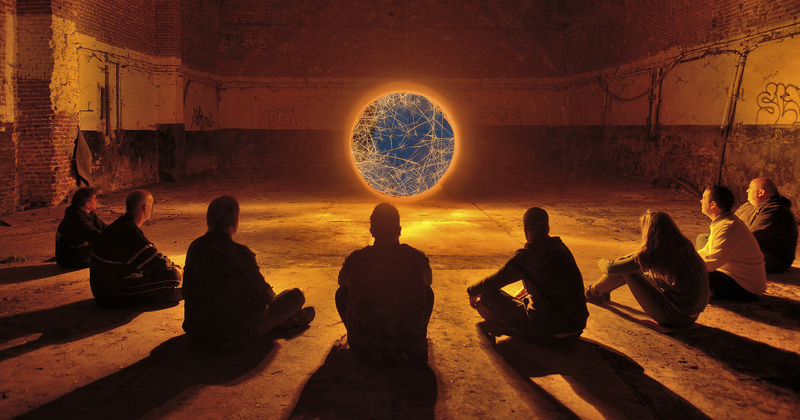 Amazing international artists in speeches, workshops, round table discussions, exhibitions and much more! 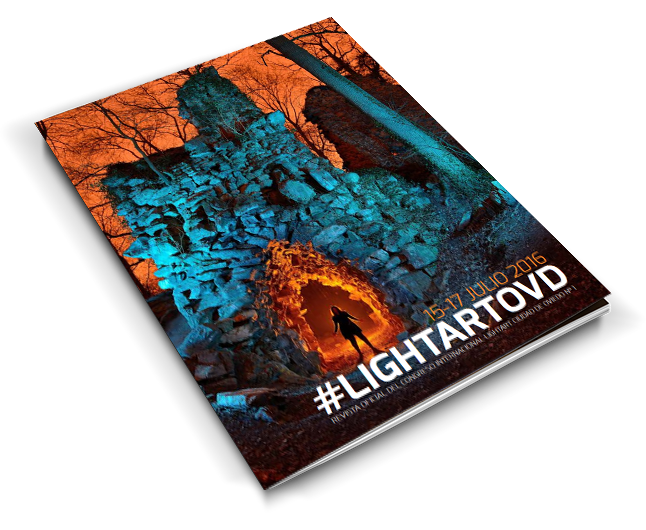 Discover the II LightArtOVD schedule. 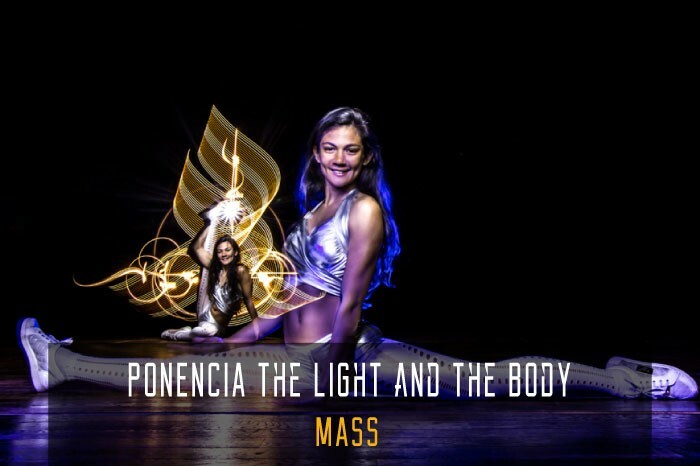 15th 16th and 17th july in “Auditorio Príncipe Felipe”, Oviedo City. REGISTRATIONS CLOSED. 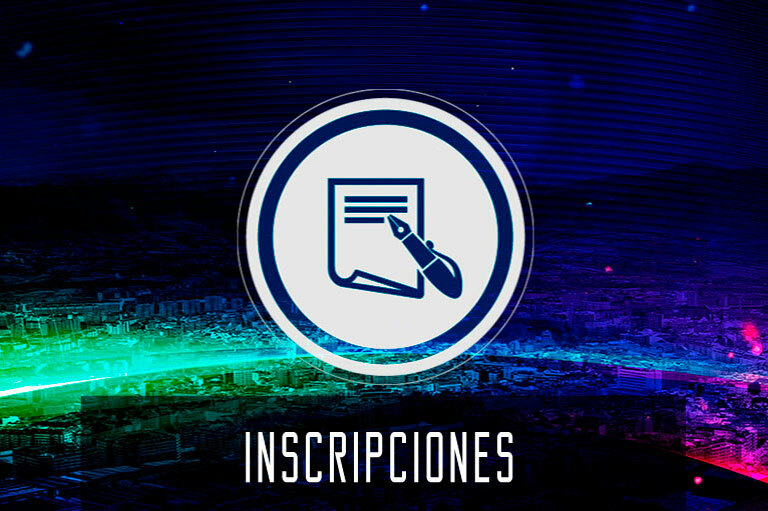 In this section you can registrate to the 2nd LightArtOVD. You should choose the workshops you want to attend so that seats are limited. We recommend you reading carefully all schedule before starting registration process. 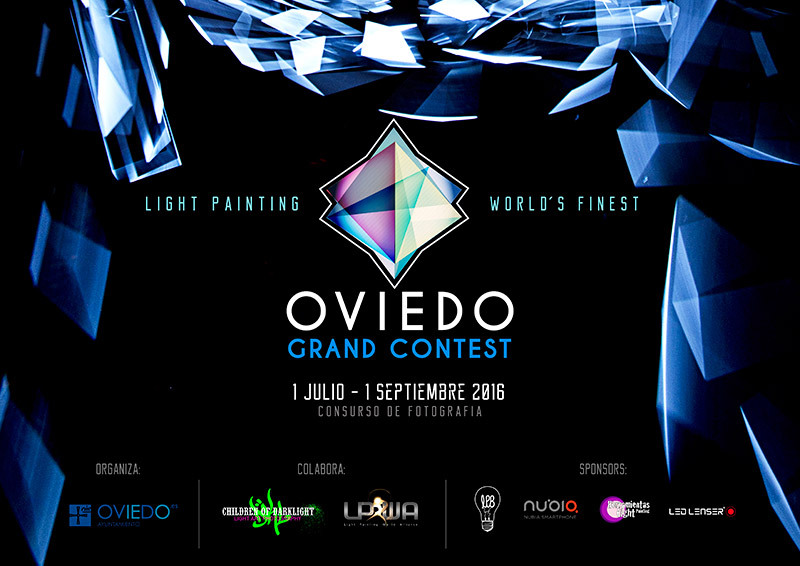 International light painting photo contest with 5 big awards in several categories including one specially dedicated to the city of Oviedo. Participation open until 1st September. 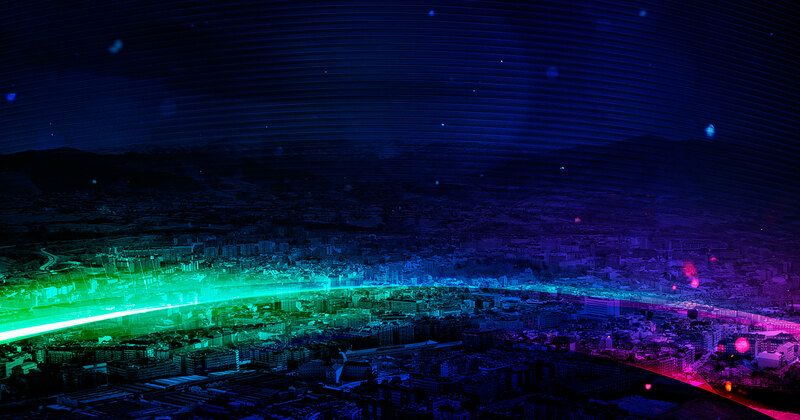 Open citizens call for a massive lightpainting a realistic picture which inspired design by artist Sfhir . 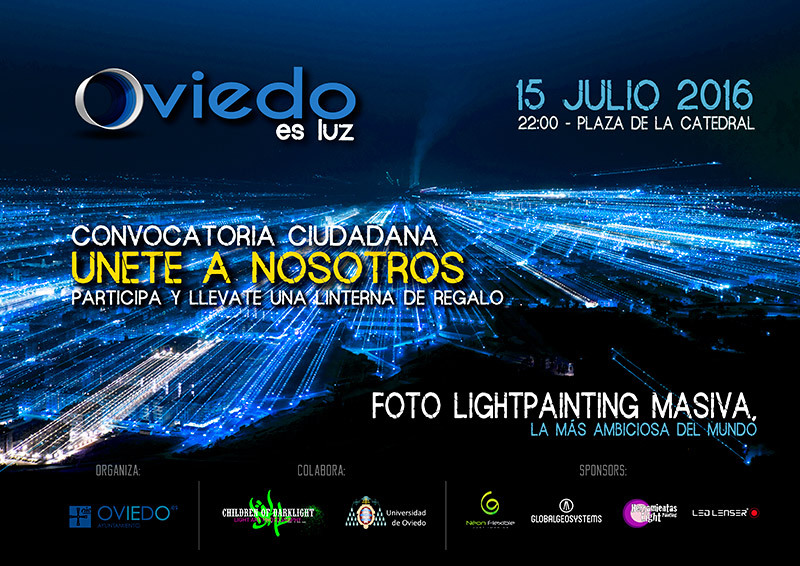 On July 15 at 22:00 in the square of the Cathedral of Oviedo. There is a space for children in LighArtOVD convention. 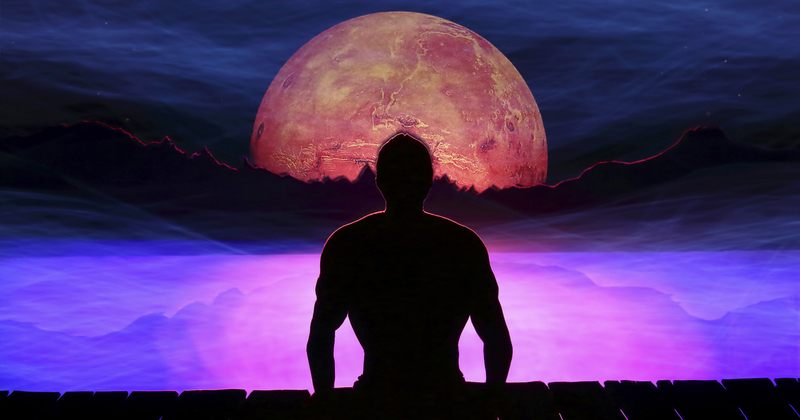 We know that your imagination has no limits and light painting will allow them to experience their creativity and discover the world of photography and light. 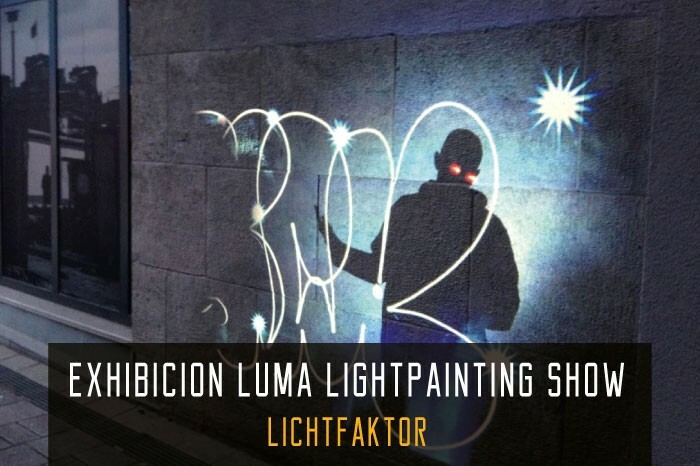 After the success of the lightpainting photocall made by our guest experts during the first edition, we have decided to repeat this activity again. We are installing a carp on the first floor of the Auditorium in Oviedo where our artists will have their shift and you can be protagonists portrayed by our experts, bringing you a great souvenir of your time in the convention. 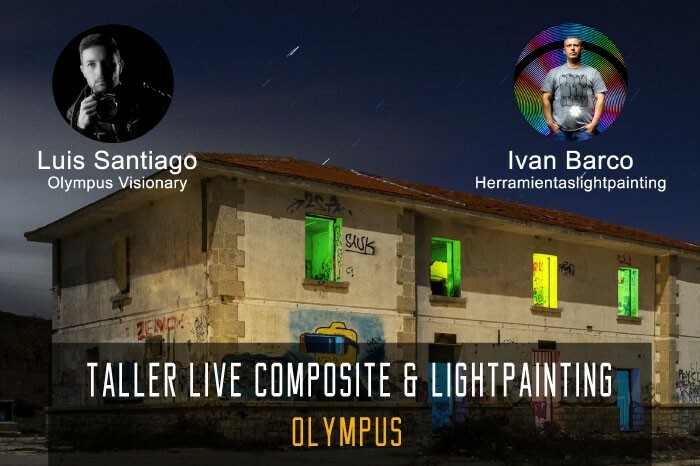 The well known camera brand Olympus and lightpainting material firm Herramientas Lightpainting will have a common area of experimentation in LightArtOVD II. It will be a space where we will have numerous photographic items like the incredible Olympus OM-D camera. This camera has a great potential for light painting and you can preview what you are light painting during the exposure thanks to Live Time / Live Comp modes. 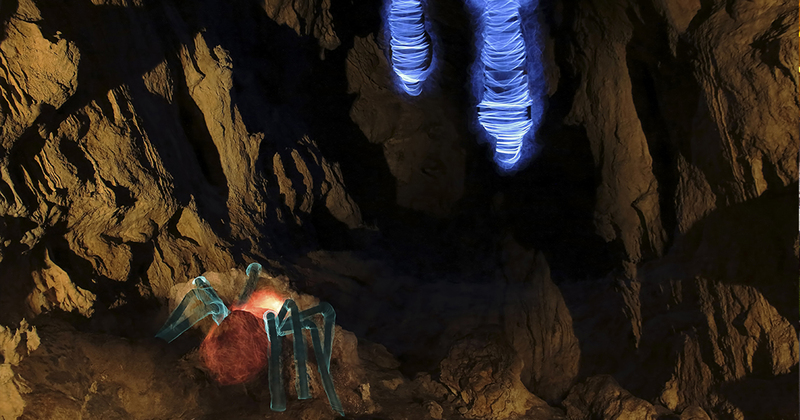 This is a real revolution for lovers of night and light painting. Yo can test all Herramientas Lightpainting tools in these space too. 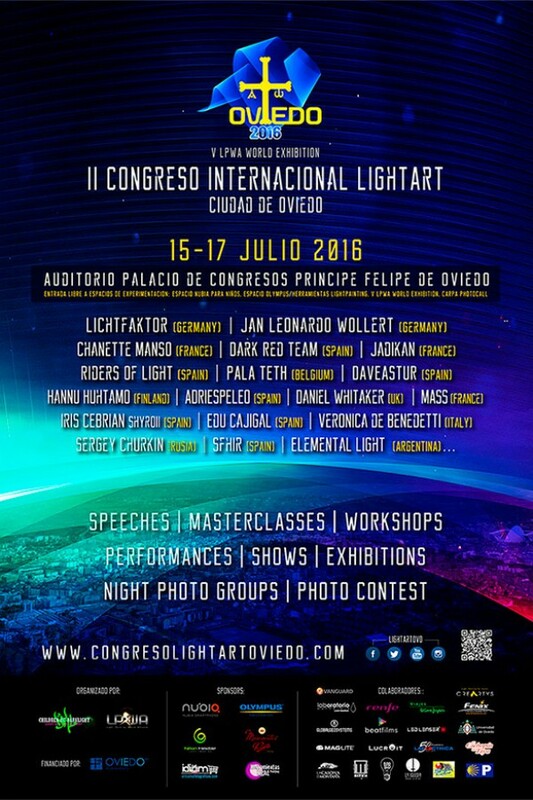 After the success of the I International Congress dedicated to Light Painting and LightArt held in 2014, this year we will have a second edition. 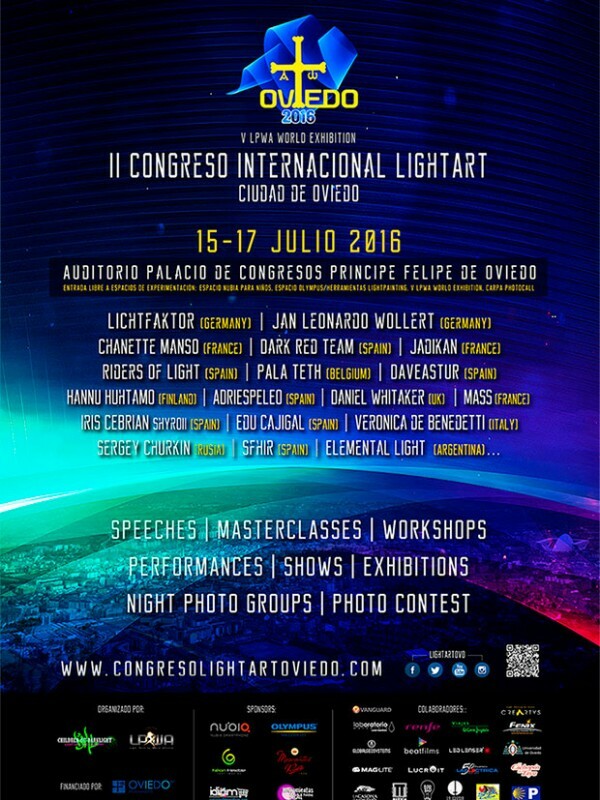 The II International LightArt Congress Oviedo City repeats location, therefore we will turn the city of Oviedo, Spain, in the Lightpainting World Capital, from July 15th until July 17th 2016. 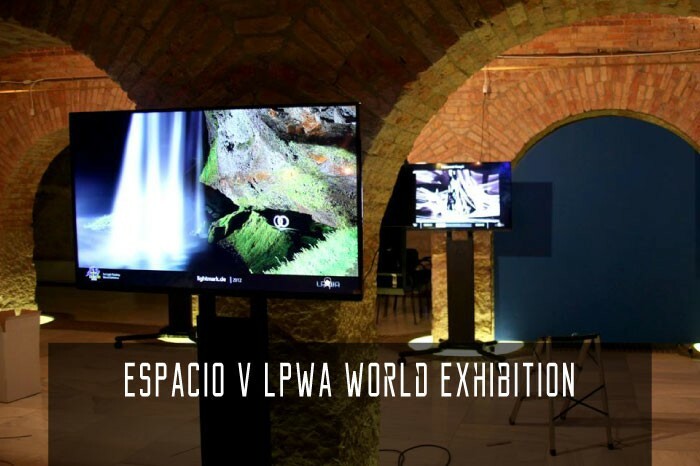 It will also have the 5th Light Painting World Exhibition organized by Light Painting World Alliance (LPWA). It includes the most representative leading artist’s works of this art form. The exhibition will take place an the same location of the congress, Oviedo Auditorium Prince Felipe from July 15th until July 24th 2016. 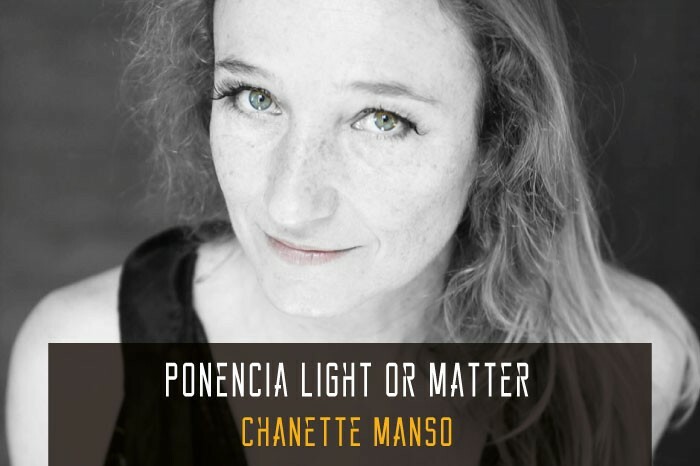 This great event will involve international and national experts in various masterclasses, workshops, exhibitions, round table, photocalls and collective artistic projects. In addition we are part of UNESCO International Year of Light official calendar whose logo was created in one of the first edition collective activities. 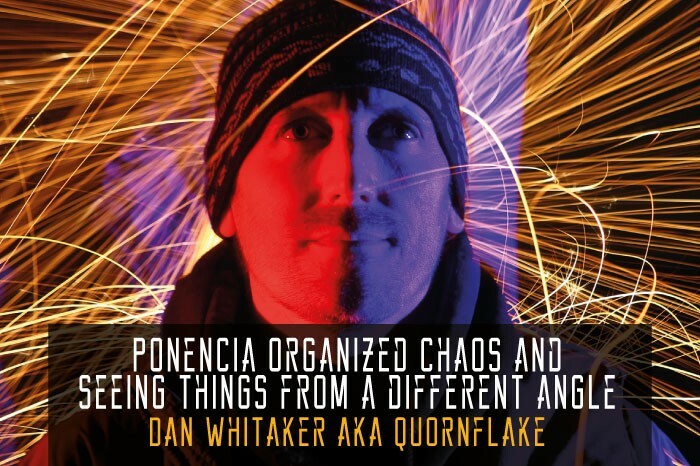 Not only Attendees will learn from the best, discover their secrets, and exchange views and knowledge with other attendees, but also they will have the opportunity of living a magical atmosphere. 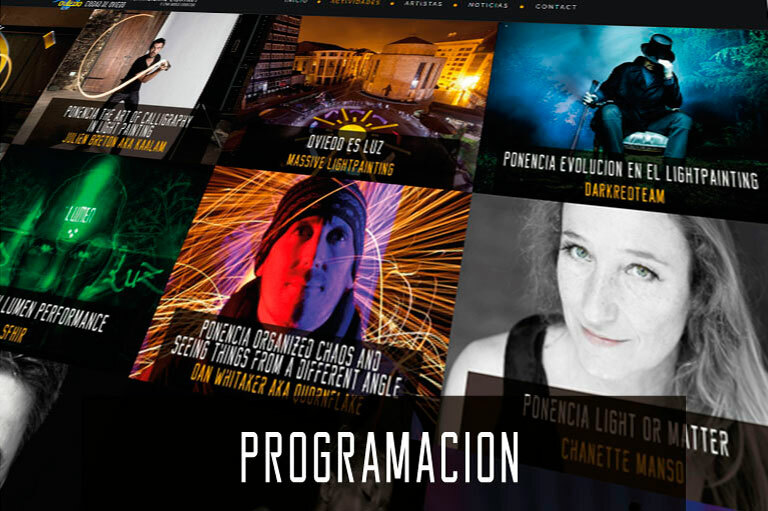 They will held photo sessions, side by side, with the best lightpainters in the world during recreational activities we have prepared after finishing the official schedule. 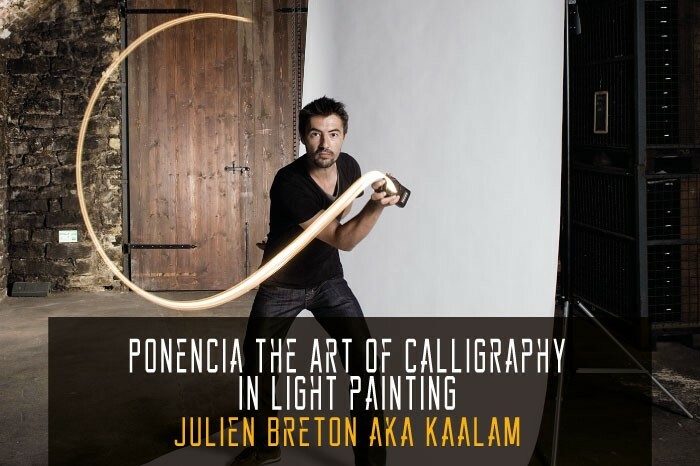 The feeling we experimented last edition was as if we were creating great little family of lightart lovers. It is a unique internatinal meeting plenty of ideas , creativity , enthusiasm , exchange of knowledge and, above all , passion .